It seems that the only role that hasn’t been cast yet in Batman v Superman: Dawn of Justice is the kitchen sink because just about every other superhero role has been cast. 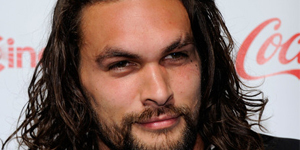 Today, word has come in that Jason Momoa, best known for his role as Khal Drogo in Game of Thrones, has been cast as Aquaman in Dawn of Justice, adding him to a superhero cast that already includes Batman, Superman, Wonder Woman and Cyborg. Rumors have been swirling for months now that Momoa would be playing the famous hero from Atlantis, despite his repeated denial. The speculation is that Aquaman (which likely won’t be his name in the movie) comes to Metropolis because he is mad at Supes for what the World Engine did to the Indian Ocean in Man of Steel. I wrote a piece the other month talking about the best way to bring Aquaman to the big screen, and hopefully some of those ideas come to fruition. 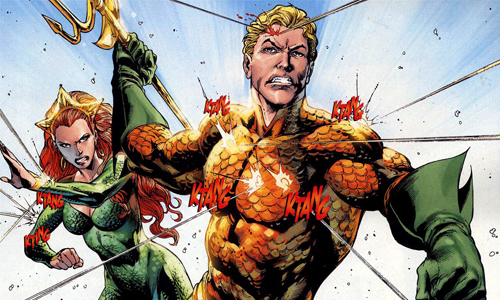 While I’m excited that Momoa is going to play Aquaman, I think there are too many heroes in Dawn of Justice. Regardless of whether each hero is playing a significant role or simply making a cameo, I think making this a prequel to Justice League is going to diminish the quality of the film. Remember, Marvel mapped out their plan for The Avengers years in advance, devoting individual films to each of their characters before teaming them up together. Warner Bros. seems to want to make a team up movie as fast as they can. Whether this is the proper route remains to be seen, but I for one am skeptical.